Critical Factors for Implementing Blended Learning in Higher Education. Available from: https://www.researchgate.net/publication/318191000_Critical_Factors_for_Implementing_Blended_Learning_in_Higher_Education [accessed Jul 6, 2017]. 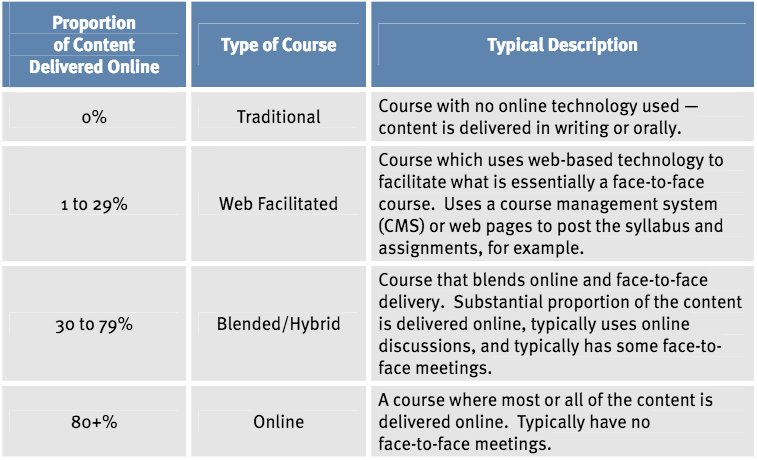 Blended learning is in one dimension broadly defined as “The convergence of online and face-to-face Education” as in the study by Watson (2008). At the same time it is important to also include the dimension of technology and media use as it has been depicted in the multimodal conceptual model in Figure 1 below. This conceptual model was proposed and presented in an article published by Picciano (2009). Critical Factors for Implementing Blended Learning in Higher Education. Several studies that argue for the need to focus on pedagogy and learning objectives and not solely on technology (Hoffinan, 2006; Garrison & Vaughan, 2008; Al amm ary et al., 2014; McGee & Reis, 2012; Shand, Glassett Farrelly & Costa, 2016). Other findings in this study are that technology still is a critical issue (So & Brush, 2008; Fleming, Becker & Newton, 2017), not least in developing regions (AI Busaidi & Al-Shihi, 2012; Raphae1 & Mtebe, 2016), and also the more positive idea of technology as a supporting factor for innovative didactics and instructional design to satisfy the needs in heterogeneous student groups (Picciano, 2009). 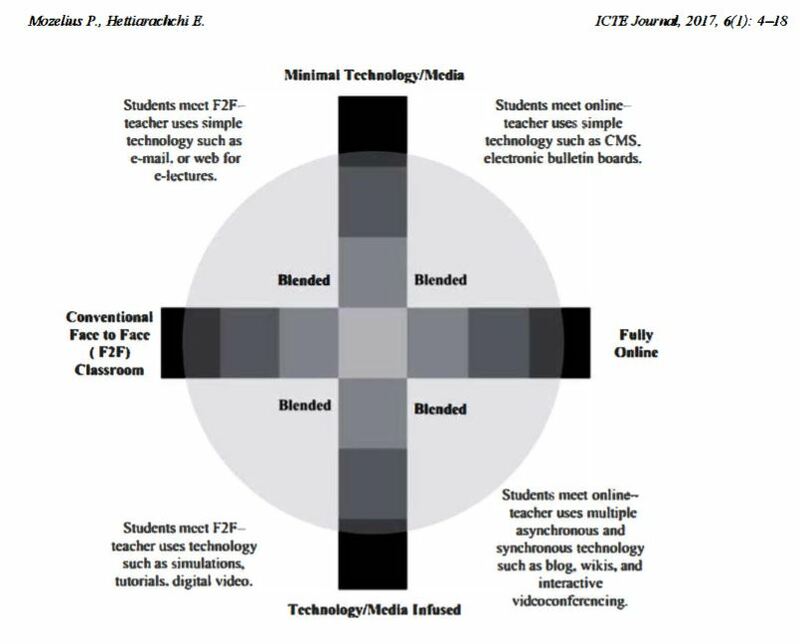 Critical Factors for Implementing Blended Learning in Higher Education. Getting Students more involved in classroom presentations and assessing their interest is always part of an educator’s goal. Student Response Systems (SRS), also called audience response systems or more commonly “clickers,” have been around in university lecture halls in one form or another for more than two decades. This intensive two-day workshop offers one-to-one instruction and consultation from top innovators in blended learning. It’s a hands-on, working workshop. You bring a syllabus, exams, other course materials, and a computer. You leave with an action plan for a blended course that will keep you on the cutting edge of pedagogy. You will finish with an understanding of how to balance what happens before class, what happens in class, and what happens after class. You will learn how to organize your own Learning Management System (LMS), and you will be exposed to the very best technology tools to support student learning. Topics explored during this event include course design principles, pedagogical considerations, technology how-to’s, and student engagement strategies.